As Priya Parker reminds us, in her brilliant book 'The Art of Gathering: How We Meet And Why It Matters', human beings are social creatures. In our interactions with others, we find meaning, value, and purpose. And yet we often lose of sight of this, leading to less satisfying encounters than we would otherwise want. Drawing on her meticulous analysis of an array of social gatherings, Priya’s stunning immersive workshop experience is a reliable route to maximizing our group efforts. The upshot is truly transformative, delivering more meaningful meetings of all kinds, in our business and personal lives. WeWork invites you for an intimate group experience followed by a Q&A and book signing. Lite bites and cocktails will be served. This will be an unusual happening: a live, dynamic, small-group event for attendees to experience The Art of Gathering in real time. 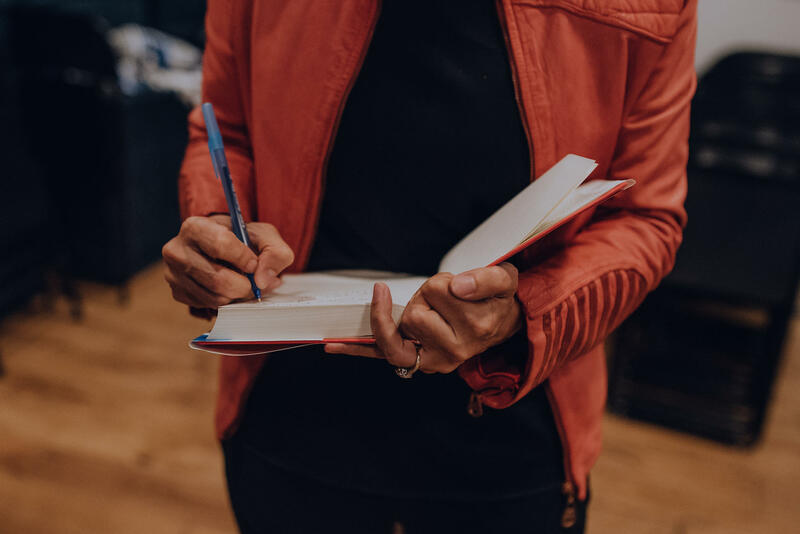 In this highly interactive special event, Priya will design a live laboratory that demonstrates the ideas of her book and connects us to each other in new ways, while breaking down the anatomy of what actually makes for transformative gatherings. Drawing from her new book, Priya will lead a group experience that demonstrates how gathering is a form of leadership, and then reverse engineer what she does to create this sense of community. The result is a dynamic, memorable, exciting experience that will give you real tools to walk away with and apply to all of the gatherings in your own work and life. Priya Parker is a facilitator and strategic advisor. She is the founder of Thrive Labs, at which she helps activists, elected officials, corporate executives, educators, and philanthropists create transformative gatherings. She works with teams and leaders across technology, business, the arts, fashion, and politics to clarify their vision for the future and build meaningful, purpose-driven communities. Her clients have included the Museum of Modern Art, LVMH, the World Economic Forum, meetup.com, Stone Barns Center for Food and Agriculture, the Union for Concerned Scientists, and Civitas Public Affairs.Trained in the field of conflict resolution, Parker has worked on race relations on American college campuses and on peace processes in the Arab world, southern Africa, and India. She is a founding member of the Sustained Dialogue Campus Network. She has been appointed a member of the World Economic Forum Global Agenda Council on Values Council and the New Models of Leadership Council. She is also a senior expert at Mobius Executive Leadership. 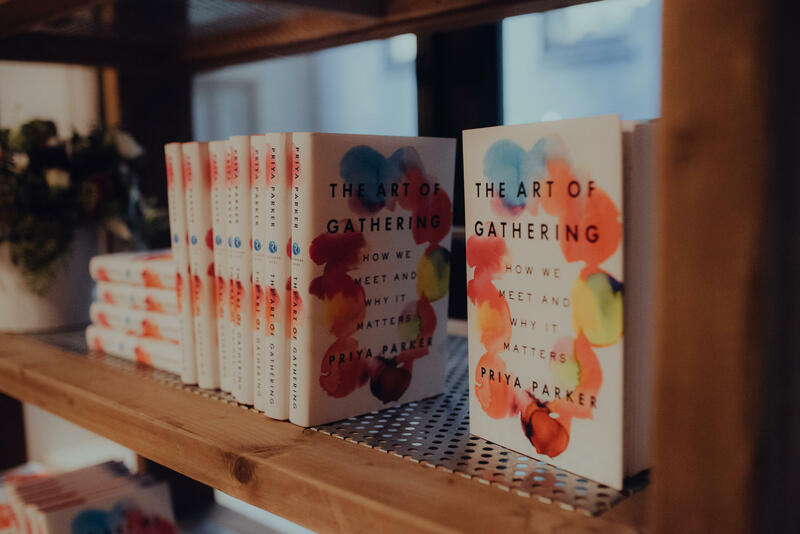 In 'The Art of Gathering', Priya Parker argues that the gatherings in our lives are lackluster and unproductive - which they don't have to be. We rely too much on routine and the conventions of gatherings when we should focus on distinctiveness and the people involved. At a time when coming together is more important than ever, Parker sets forth a human-centered approach to gathering that will help everyone create meaningful, memorable experiences, large and small, for work and for play. Do you work for a company or work for yourself? Questions below will allow Priya to tailor the workshop for who is in the room: What industry do you work in? How many people do you manage in your organization? How long have you been working with your current team? I would like to receive offers and communications from WeWork and its affiliates. What are some of the biggest challenge your business or company faces (you can be general)? What are some of your business goals for 2019 (you can be general)? What is your favorite non-work-related past time?